It’s easy to feel like a winner at Topaz Lake simply by spending a day fishing, sailing or exploring the lake and its 25 miles of shoreline. Or you can hit the Topaz Lodge Resort and Casino overlooking the lake and try your luck there. Besides the option for gambling, there are a couple other things that make Topaz Lake unique. The manmade lake is in both California and Nevada, making a fishing license from either state valid. The other is that Topaz Lake is actually at its best in the winter and early spring, when most bodies of water in the Eastern Sierra are frozen or buried under snow. Topaz Lodge even runs an annual winter fishing derby, offering anglers a nice outdoor fix in the midst of the chilly winter months. For those who prefer drier activities, Northern Mono County is also known for offering some of the best ATV riding in the Golden State. The hiking and horseback riding near Topaz Lake are also terrific. 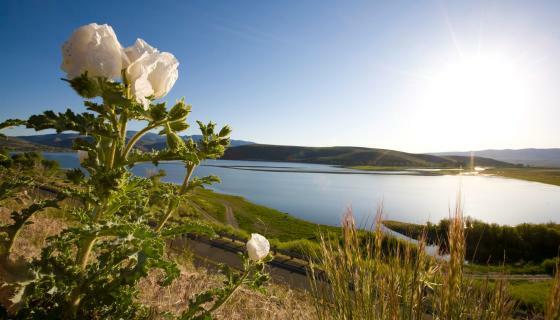 Directions: Topaz Lake is located along Highway 395 at the California/Nevada border. 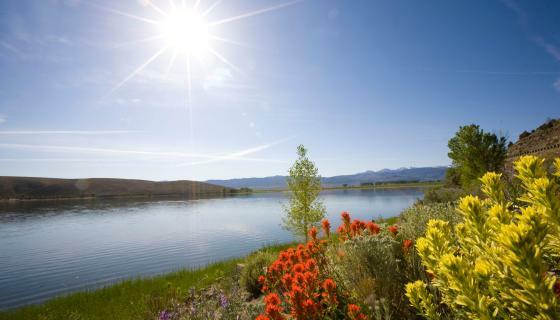 It is located about halfway between Reno and Mammoth Lakes. Topaz is a rather large lake, covering nearly 2,500 acres. That makes fishing from a boat the best option. Trolling is usually a great way to hook into the of Topaz Lake’s trophy brown and rainbow trout. For those who don’t have a motorboat of their own, the Topaz Lake Lodge rents them. Shore casting can, however, also be effective, especially along the great access the western edge of the lake provides. Unlike many lakes in the region that tend to fish best in summer and fall, winter and spring are usually the best times to fish Topaz Lake. The annual fishing derby put on by Topaz Lake Lodge runs from New Years Day into April, when the general fishing season in the Eastern Sierra is closed. 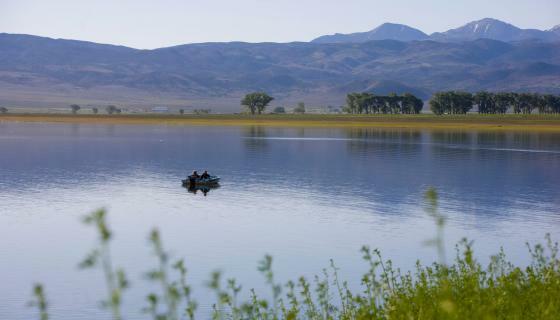 So if you’re looking for so good off-season trout fishing, the lake along the state border, where the edge of the Eastern Sierra meets the Great Basin, is an excellent option.